The growing season in Florida is just barely underway. 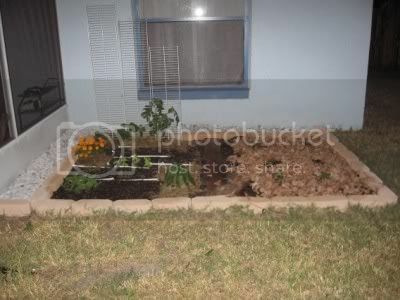 I’m brand new to gardening (I haven’t gardened since I was a kid), so I started small with a couple raised beds. One is shown in the pictures below. We have a sampling of tomatoes, cucumbers, kale, carrots, scallions, pepeprs, spinach, lettuce, and radishes on the left, and strawberries on the right. A good windstorm the other night knocked a dead branch full of precious deciduous leaves from my elderly neighbor’s tree, which I procured in spite of her confused stare at the request. It was a lucky find of free mulch for the strawberries in a place where leaves rarely fall. Throw on mulch until you think it is ridiculous, then double that amount. Your soil will love you for it. I'm going to have to do some serious scrounging -- there's not much mulch to be found in suburban Florida. Try a sanitation department. Some give away mulch for free; it's usually just wood and bark chips which may not be ideal for a vegetable garden, but may be better than nothing. Living most of my life in Wisconsin, I was surprised to learn Florida had a growing season. I thought you could grow year round down there. I'm volunteering at two organic farms next year. In addition to my weekly small bags of fresh produce, I want to experience organic agriculture. I hope to find at least one farmer employing polyculture. 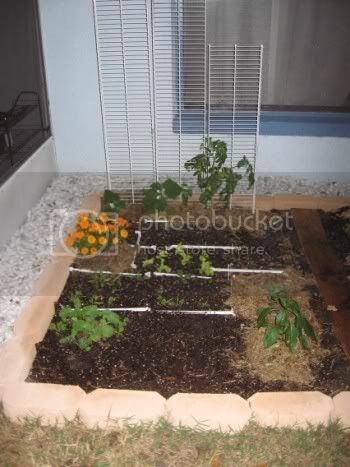 Additionally I'll be growing my own (very small) vegetable garden. I'm hoping I can grow a couple stalks of bamboo. I'm wondering if you'll be dealing with pests organically, and if so, what pests you have down there and what techniques you’ll be using. Wood chips (often available from the City for free) does make a good mulch, in my experience. It can also be a substrate for mushrooms, should you care to have a go at growing them. Some loss to pests is natural. Huge losses are showing you that there is some imbalance in your system. This may be self-correcting over time (2 or 3 years), assuming that you have designed ecosystemically. If not, you will need to figure out what is going on. Florida has a specific growing season for the opposite reason than in the north -- here it's too much heat and sun. I'm from the midwest originally and I had the same impression that Florida should have a year-round growing season. I planted a vegetable garden in June before I realized my error. PeakEngineer, I think we have very different ideas on how a new community is started. I was hoping you could give me a better idea of what your thoughts are. Based on your last post I get the impression you'd like to start a community where everyone retains their traditional jobs working for an employer. The community would only provide housing and people would grow most of their own food. Is that about the gist of it? I gather that smoke oil is sort of distilled out of smoke from a stove. A fellow permaculturist got his hands on some from an ESL student and found that it worked great. For the expense/effort, I think milk of the best all around stuff I've used so far.